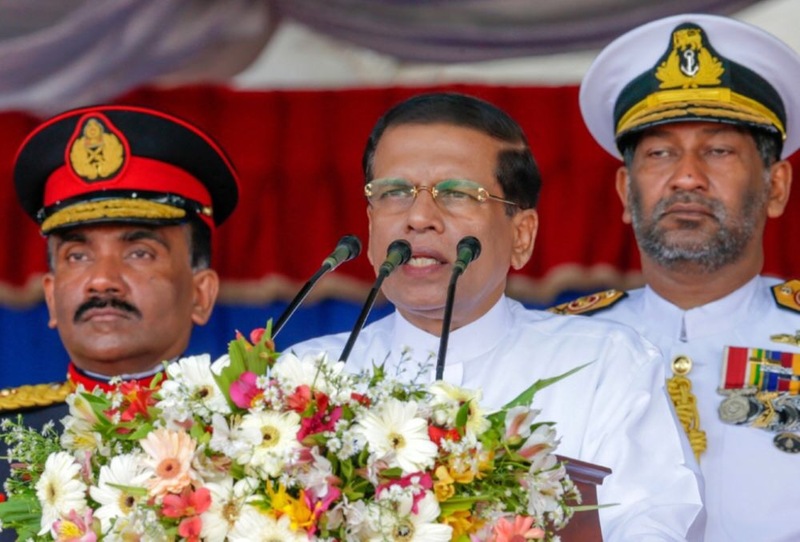 Colombo (AFP) – Sri Lanka’s President Maithripala Sirisena has asked Donald Trump to pressure the UN Human Rights Council to drop war crimes allegations against the country’s troops. Sirisena’s office said Sunday he had sent a “special message” to president-elect Trump seeking US intervention at the council, where Sri Lanka faces censure for wartime atrocities. Sirisena said he was making a similar appeal to the incoming UN Secretary-General Antonio Guterres. However, during a visit by outgoing Secretary-General Ban Ki-moon to Sri Lanka last month, Sirisena had asked for more time to investigate war crimes, a sensitive political issue in the majority-Sinhalese country. Sri Lanka has said it will set up special courts to address issues of accountability, but the promised judicial mechanisms have yet to be established. There have been allegations that troops killed up to 40,000 minority Tamils during the final battle against separatist Tamil Tiger rebels in 2009, a period when Sirisena’s predecessor and strongman leader Mahinda Rajapakse was in power. Sirisena said he had been able to “tone down” a US-initiated censure resolution soon after defeating Rajapakse and coming to power in January 2015. But he was keen to secure Trump’s help to have the allegations against Sri Lanka dropped. The rights council has asked Sri Lanka to ensure credible investigations into war crimes, pay reparations to victims and their families and ensure reconciliation after 37 years of ethnic war which claimed at least 100,000 lives. Troops still have a large presence in the former conflict zones in the north and east and keep a close watch on the local Tamil population, seven years after the end of the war.